One of the most exciting moments in a person’s life is buying a first home. It gets even better from there as you begin to upgrade throughout life. However, when you first go to sign the papers things might seem a bit scary. You may have second thoughts and wonder exactly how much this is going to cost you. 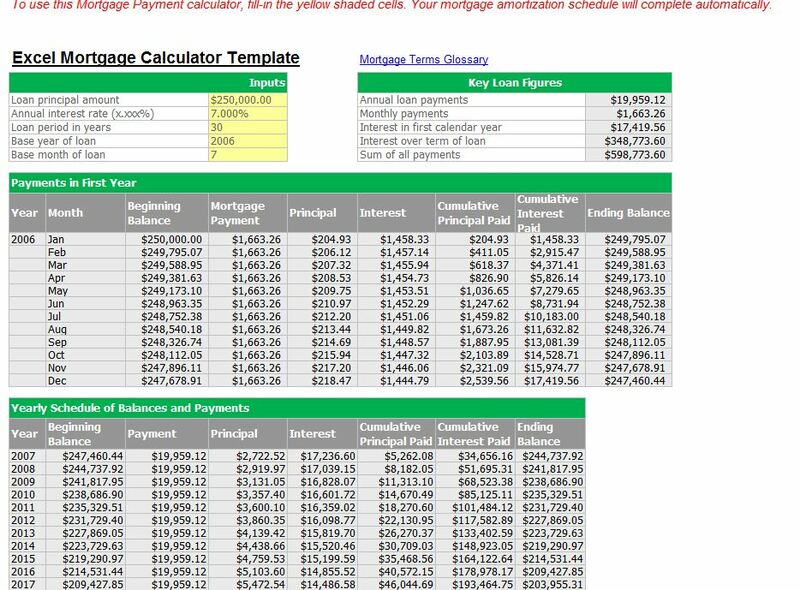 Luckily, Excel has a handy little template called the Excel mortgage calculator template that shows you how much your loan payments are going to be and how much you will pay over the ten, fifteen, twenty or the thirty years you have on your loan. It is a good idea to make sure you know ahead of time exactly how much the home is going to cost you so there are no surprises in the end. Take a look at the mortgage calculator template, fill in the information and you will have an exact amortization of your loan over the lifetime of your loan. Not only will you get an exact amount for your particular loan, you can do a bit of shopping around and put in some other numbers to compare rates and overall prices of mortgages. 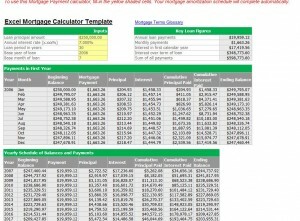 The mortgage calculator template is also known as the Loan amortization template. Its major function is to calculate loan payments and interest on a loan. When the user puts the numbers in the columns, the template then shows a summary of what the loan is going to look like over the course of the loan. Using the template is just a matter of filling in the fields meant for the user. In these fields you input your data of your mortgage including the price of the home, the interest rate and the amount of years financed. The summary table will then give you the numbers you are looking for. They will appear in the bottom half of the spreadsheet. If you happen to want the spreadsheet to display each of your scheduled payment dates you will have to enter a loan start date. In the summary box at the top of the page you will also get a date of your final payment. Again, your monthly payments will be shown at the bottom.